Re-Creation Retreat is an all girls school which addresses troubled teenagers by providing them with therapy and specialized academics. – affordable boarding schools and affordable boarding schools. Re-Creation Retreat is a premier residential treatment center and private therapeutic boarding school for girls who are troubled situated in a group home setting. We are known for our commitment to provide individualized care to hurting girls and their families. Our students receive individual support and care, as our motto is “recreating lives, one girl at a time”. 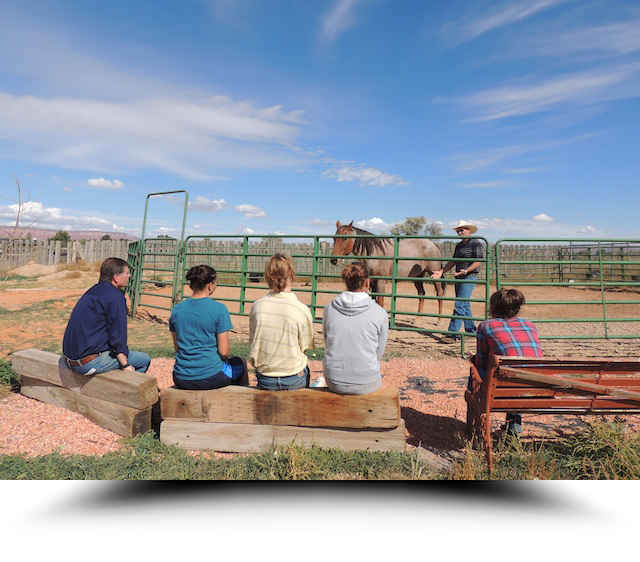 Re-Creation Retreat is licensed as a Level III Behavioral Health Agency through the State of Arizona and provides individualized treatment by caring professionals who build strong therapeutic relationships with people who truly care. Our foundation is built upon the real life principles of care, trust, and service toward others. Re-Creation Retreat is truly unique, set apart from the traditional girls boarding schools. We are a treatment center dedicated to total health and well-being. These principles when lived, lead to individual accountability and responsibility, which leads to self-value, self-worth, and honor toward others. Our program is a time for rediscovery of what is important; a “retreat” from their old self, and a chance to re-create their lives, living by proven values that bring fulfillment over a lifetime. At our boarding school for girls, our girls achieve a re-creation of themselves– a true restoration, bringing back the best part of their heart and personality. Our students re-learn what it is to live a life of fulfillment through positive relationships. Our facility is owner-run and owner-operated. Student activities are supervised and monitored 24 hours per day, 7 days per week. Student stays are typically 9 to 12 months and vary according to each student’s needs and their response to treatment. Each student participates in a comprehensive program which emphasizes individual Improvement, accountability and service. Our program focuses on education, therapy, recreation, and community Service as the primary tools for accomplishing the objectives of the program. The dedication of our faculty and ability for forge deep connections with the girls are what makes us among the top girls boarding schools in the country. What Makes Re-Creation Boarding School For Girls Different? We believe that underneath every troubled girl there is a beautiful child who is hurting. Currently, she is struggling with emotional and behavioral issues. But those issues do not define her. Meaning that she is defined by her past poor choices, because she can learn to make new healthy choices. Re-Creation Retreat is known as a leader in family-based treatment of adolescent girls in an all girls boarding school. We provide a commonsense approach to family therapy, utilizing a unique type of “family systems approach”. Troubled young women need a safe therapeutic environment in order to develop new positive decision-making tools. We work hard to create an environment where all participants (both staff and students) operate by the following proven values: care, compassion, service, trust. With a positive milieu founded on values, are students are able to experientially practice everything we teach and “experience” the success on their own merit. During her stay with at our boarding school for girls your daughter’s world is based on numerous positive relationships; students, staff, teachers, therapists, etc. At Re-Creation Retreat we have created a positive growing environment where all these relationships are supportive in nature in order to meet each individual need. This is what makes us unique. Re-Creation Retreat is a small residential treatment center for troubled girls in need of renewed hope, total restoration, and a second chance to get it right. We serve struggling girls and their parents as if they were a part of our family. We provide hope, healing, and reunification. At Re-Creation Retreat, we base our therapeutic treatment approach on a theory that is based on trust and intimacy. Meaning, we treat our student’s as if they were our own daughters. There must be absolute trust between our staff and our parents. If there is to be success in treatment, we must partner together. Is a Boarding School For Girls Right For You? e-Creation Retreat is a private residential treatment program and therapeutic boarding school for girls between the ages of 13 and 17 who are experiencing problems within their homes, schools, or community, as well as girls experiencing difficulties with emotional, behavioral, or substance abuse issues. Re-Creation Retreat maintains a staff of fully trained and licensed professionals to meet the educational and therapeutic needs of each resident. We can also help you in your search for other teenage boarding schools, boarding schools therapeutic, homes for troubled youth, faith-based boarding schools or troubled teen ranches. Re-Creation Retreat is a therapeutic boarding school for troubled teenage girls offering teen counseling for girls with adoption issues (reactive attachment disorders), self-harm (self-mutilation) or cutting, or eating disorders (anorexia, bulimia, anorexia nervosa). Other behavioral issues we deal with include: depression, post traumatic stress and anxiety. If you have an out of control girl, please consider this school for troubled girls that offers teen counseling and teen counselors for troubled girls. We offer counseling for troubled teens and out of control teens. We especially work with RAD girls and troubled girls who are adopted. Homes for troubled teens and boarding schools for teens don’t typically offer teen counseling and therapy, but we do. Among the best therapeutic schools with counseling – also referred to as “schools for troubled teens”. Re-Creation Retreat is an all girls school which addresses troubled teenagers by providing them with therapy and specialized academics.